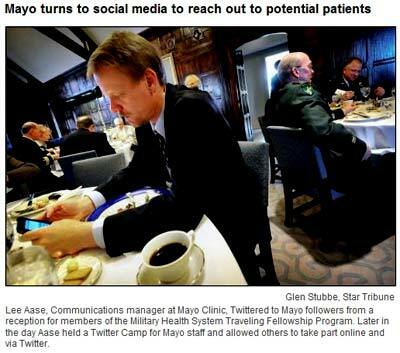 Was quoted in an article by Chen May Yee of StarTribune.com on Lee Aase, who does an amazing job at Mayo Clinic with social media. Corporations across the country, from Starbucks to Dell, are using social media — free online sites where users connect with thousands of others — to reach customers. But hospitals have always been conservative in marketing to patients. And Mayo, more than 100 years old, may be the most conservative of all. Yet out of Mayo has come Aase. Officially Mayo’s manager for syndication and social media, he has emerged a rock star in that space where social media and health care marketing overlap. By the way, StarTribune.com site really suffers for failing to link out to the websites it mentions and not providing the Read Article In A Single-Page button. I stumbled on Lee Aase’s presentation on Patient/Provider partnerships at Slideshare.net while researching on a two-day customized training for media relations and marketing staff of a private hospital in Malacca. Lee was very helpful and sent me his slides. He is an amazing guy. I think as a social media evangelist he is doing great stuff for Mayo. The only way to “push” for social media adoption is to do extensive training, training and training and his idea to set up S.M.U.G was a stroke of genius. By promoting the myriad free resources on the net that hospitals can leverage on to connect and engage with patients; with interns planning stints in Rochester; with doctors having to learn “webside manners” online – he is fishing where the fish are. 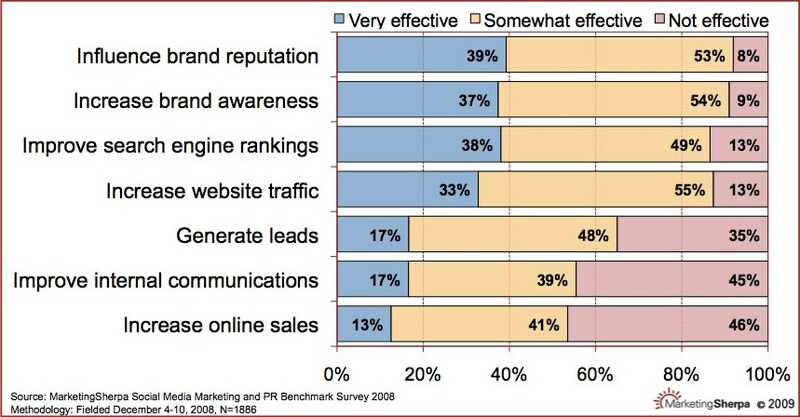 Branding and marketing has moved online in a big way. And it cuts across all industries. 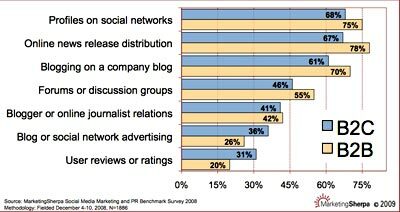 In 2009, here are the facts: If you want to connect with people – your prospects, your future customers/patients, your future medical personnel, the media (that’s us) – you need to go where the people are and start conversations and engage with them on Facebook, YouTube, Twitter, ie. via social networks, blogs, podcasts, photo- and video-sharing sites and patient-led support groups and forums. You need to be found by the Great Reputation Management Machine: Google search. CarePages.com and PatientsLikeMe.com and the whole medical tourism phenomenon are examples of Healthcare 2.0 that could not have happened without the net. We really are in the middle of a revolution and Aase “gets it”. Unfortunately, some people in our profession — journalism — saw it coming but just ignored it. Tech journalism got commoditized very quickly. I was there. I saw it happen. The websites I wrote for blinked off the radar. That’s the future? It’s already here — right on our backdoor! Two articles point to how corporations are dealing with the viral nature of social media and either getting it or completely fumbling. 1. Corporations need to understand there is a latent, under-served fan base that wants to connect and engage with their brands online. Tap into it! 3. In a crisis, if it’s good news — get it out fast, if it’s bad news — get it out faster. When two Coca-Cola enthusiasts created a Facebook fan page in honour of their favourite soft drink last year, they could not have known it would become one of the social network site’s most popular – second only to Barack Obama’s. 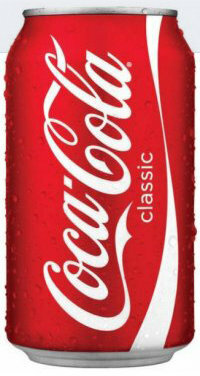 The Coca-Cola fan page was created by Dusty Sorg, a Los Angeles-based actor, who maintained it with his friend Michael Jedrzejewski, a writer. “I was already on Facebook a lot and I didn’t see any Coke pages that seemed very official,” says Mr Sorg. So he started the page in August, invited his friends, and watched it grow. And grow and grow and grow. Instead, the beverage maker flew the pair to its Atlanta headquarters in January, took them to a hockey game, gave them a VIP tour of the Coke museum and let them play Eric Clapton’s guitar, then proposed that they officially run the page for the company. The two agreed. It now has more than 3.3 million users. “It’s an excellent example of a partnership between the brand and the consumer,” says Kristen Smith, executive director of the Word of Mouth Marketing Association. Yet engaging with consumers can be dangerous, too. Skittles learned that last month when it invited users to post Twitter-like comments on a page that prominently displayed its logo. Along with positive comments appeared a colorful variety of profane ones. “There’s a mob mentality to social tools where people quickly try to put fuel on the fire, really encouraging brand damage and damage to individuals,” said Jeremiah Owyang, a senior analyst at Forrester Research. To stay safe in a social-media minefield, he said, brands need to make sure to secure their own domain names in social-media environments, before any squatters do,- and then start to build a community there. When a crisis happens, online or off, brands can then use that community to their advantage. That’s the opposite of how Hasbro Inc. reacted last year when it sued the India-based creators of Scrabulous, the popular Scrabble-like game on Facebook,- and forced them to take it down. Fans of the game formed “Save Scrabulous” pages on Facebook and posted angry messages about Hasbro. When a company-sanctioned version of the game appeared sometime later, fewer returned to play. 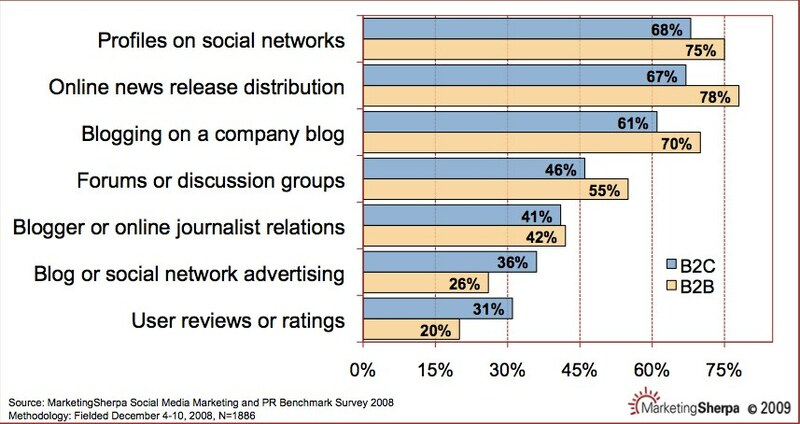 Other companies may find that unexpected uses of their brands online give rise to immediate PR nightmares. A little more than a week ago, a video showed up online showing two Domino’s employees laughing as they prepared food in a deliberately unsanitary way. The video quickly generated hundreds of thousands of views. The pizza company’s initial instinct was to try to dispose of the situation quietly by responding only to concerned consumers who had seen the video, rather than risk broadening its exposure by making a public statement. But chatter about the problem spilled over into Twitter, whose expansive micro-messaging network is becoming an online circulatory system for news, pumping information between media organs, consumers and businesses themselves. Domino’s posted a YouTube response of its own, and even established a Twitter account to answer direct questions from customers. When Amazon was faced with its own consumer outcry recently, it decided to forgo the social-media route. Without warning, many gay- and lesbian-themed books began disappearing from the site’s search results and sales rankings. The Twittersphere instantly saw red, accusing the company of discrimination and censorship and demanding a response. But Twitter abhors a vacuum, and commenters rapidly filled Amazon’s silence with boycott threats, petitions and caustic accusations, an outcome that suggests that the growth of social media may be driving up the cost of inaction. When lightweight actor Ashton Kutcher challenged CNN in a race to get 1 million followers an odd quirk of the much-hyped race was that CNN hadn’t actually owned the account until a few days earlier. For two years, the CNNBrk account (for breaking news) had been created, maintained, and run by a 25-year-old British Web developer who just wanted a way to beam short news alerts to his cell phone. But when the cable network found that James Cox had appropriated its name and content, it took a direction that might seem a bit surprising. Instead of suing Cox or trying to shut down the account, the cable network quietly hired him to run it, then acquired it last week when Cox was visiting the company’s Atlanta headquarters. The CNNbrk Twitter account was a hit probably because it was useful to hundreds of thousands, and now a million other fans beyond Cox’s wildest dreams. The Coca-Cola fan page was a hit thanks to a combination of weak competition and good timing and pretty pictures. It had a momentum of its own, and a community loyal to its quirky founders. Had Coke set up the page itself or taken it over, there is no guarantee it would still be thriving. Indeed, the most effective thing Coca-Cola and CNN did – and perhaps the best lesson for other companies – was not getting in the way. A Brian Solis article in the Social Computing Journal asks “Is Social Media Recession-Proof?“. 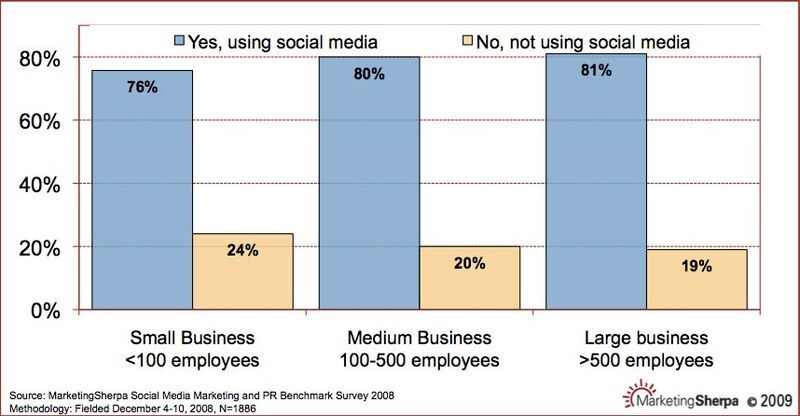 - Forrester’s Jeremiah Owyang recently published a report asking B2B orgs this: “Assuming that the economy is in recession in the next six months, how would you change your investment in social media overall?” A massive 53% intended to increase their investment while 42% said it would stay the same and 5% said they would decrease spending. 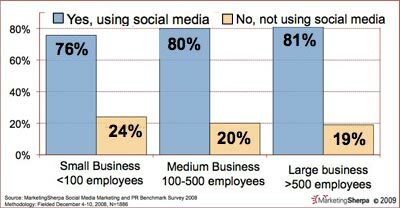 - In a report published by Aberdeen Group, 63% of surveyed companies intended on increasing social media budgets in 2009. - Sergio Balegno of MarketingSherpa from a Social Media Marketing and PR Benchmark Survey (Dec 2008)says about 80 percent of small, medium and large businesses claimed they’re embracing and practicing some form of social media in outbound marketing. 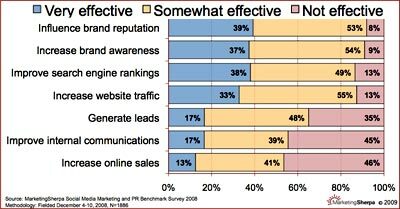 - Social media scores high on increasing brand reputation, brand awareness, search engine rankings and website traffic but seems to meander towards less effective for generating leads, internal communications, and online sales. - Some effective tactics include: Online news release distribution, User reviews or ratings, Blogger or online journalist relations, Forums or discussion groups and Blogging on a company blog. This came up in conversation last night on how a friend’s friends got taken by an email scammer using a variant of the Nigerian 419 scam. While I was in New Zealand, I had the pleasure of reading The Daily Aardvark, run by the eccentric Bruce Simpson, who gained notoriety later for wanting to build, among other things, a Cruise Missile. So far this game hasn’t actually been given a name — but I think we’ll call it “bait-a-scammer” and here’s how it’s played. When Dr Aba Ngkomo (or whatever alias is being used today) from Nigeria sends you one of his “CONFIDENTIAL” emails the game begins. The first thing you’ll note is that due to tragic mismanagement over many years, there is a chronic shortage of lower-case alpha characters in Nigeria so most of the emails sent by Dr Aba Ngkomo will be typed entirely in capitals. The goal of the game is to convince the Nigerian scammer that you really are interested in their “CONFIDENTIAL” offer to smuggle a large amount of gold or US cash out of the country for a sizeable commission. Your score is calculated not only by the number of emails you manage to exchange before you tire or before the scammer catches on to the fact that you’re just playing with them — but also on the level of stupidity you can to get them to display. Extra points are awarded if you’re able to slip the name of your favourite Star Trek character into the email exchange with bonus points earned if you can get an actual candid picture of the scamsters. Get them to send you money (one really player did) and your score is tripled. Regular readers may recall that I played this game a while back with limited success. Unfortunately, not having much time for computer games, I didn’t score particularly highly and gave up after a couple of weeks. However, there are some experts at this game who have documented their own efforts on the web — and many of them will have you in tears of laughter and gasping with amazement. My personal favourite example, and surely the overall winner, must be the game documented on this page where the player actually managed to get the Nigerian scammers to send him US$3. You must read right to the end if you are to wet your pants (I did). 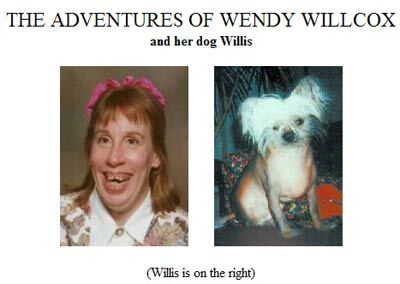 Runner-up has to be The Adventures of Wendy Willcox where the player really used their intelligence and even recruited a webcam to snap pictures of the scamsters from half a world away. There are plenty of other players who have published a log of their games on the Web and this page contains a nice list of links to follow. So, next time one of those kind Nigerians with a broken caps-lock key sends you an email, don’t just delete it, shout “GAME ON” a the top of your voice and join the action. If enough people do this then maybe the scammers will give up.